Belkin is an American manufacturer of consumer electronics that specializes in connectivity devices. Here, you can shop from a variety of electronic goods, including routers, iPod and iPhone accessories, mobile computing accessories, network switches, and more. With Big Apple Buddy’s personal shopping service, you can now buy direct from the Belkin online store anytime, anywhere. At Belkin, you shop for a variety of accessories designed to be compatible with your iPhone and iPod. 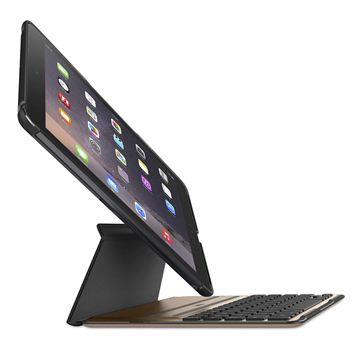 The QODE Ultimate Pro Keyboard Case is compatible the iPad Air 2 and allows you to use your tablet in a whole new way. The case itself provides durable protection for your tablet and allows for viewing versatility that will completely revamp your typing experience. You can clip the case onto the keyboard and type away, or for those times when a keyboard isn’t needed, the case works on its own to protect the iPad from any damage. With this keyboard case, you simply attach your device and go. There is no hassle in attaching or detaching the iPad to the keyboard case, unlike with other designs. 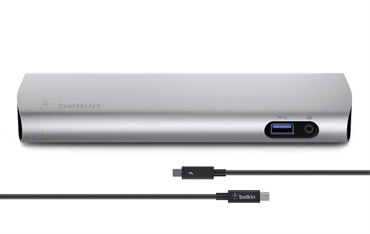 With the Belkin Thunderbolt 2 Express Dock HD with Cable, you can connect up to 8 of your electronic devices to your laptop or desktop. Take full advantage of the Thunderbolt 2 data transfer speeds and 4K cinema resolution: you’ll be using your devices like you never have before! This dock has a sleek, lightweight design, making it easy to carry with you wherever you go. And unlike other docks like this on the market, Belkin’s is compatible with both Mac and PC products. Unfortunately, the USA Belkin online store does not currently offer international shipping. However, Big Apple Buddy, your personal shopper, can help you buy products direct from the official USA Belkin online store and ship them to your doorstep, no matter where you are in the world. If you would like to buy from the USA Belkin online store, simply let us know which items you would like to order (by filling out the form below) and we’ll get back to you with a free international shipping quote within 24 hours!